Calle 50 210B, Barrio de Sisal, Valladolid, Yuc.. 97784. 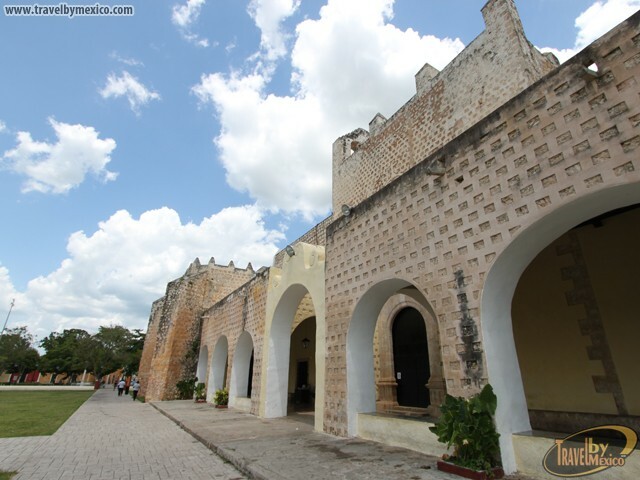 The former Convent of San Bernardino de Siena is located in the neighborhood of Sisal, which is a contraction of the Mayan words ziiz-ha and is translated into Castilian as cold water. 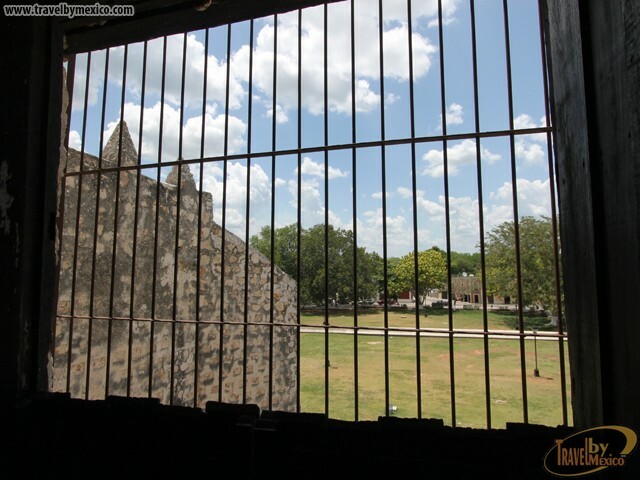 In 1552 construction began under the direction of Friar Hernando de Guevara, Francisco de la Torre, and Friar Juan de Mérida. 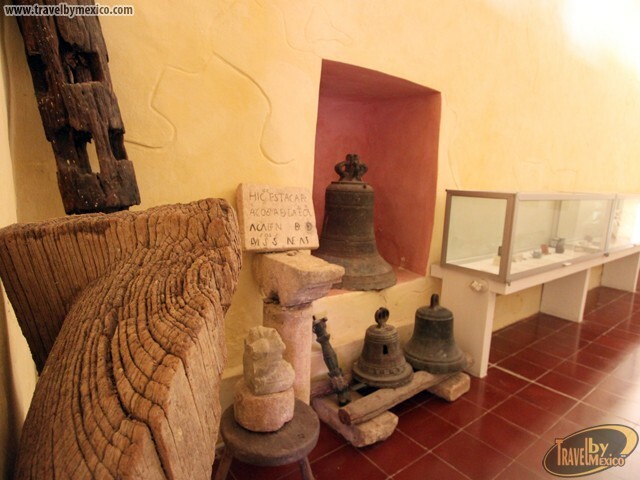 The church was formerly called the Church de San Francisco since the Order of Franciscans had built and found the convent. 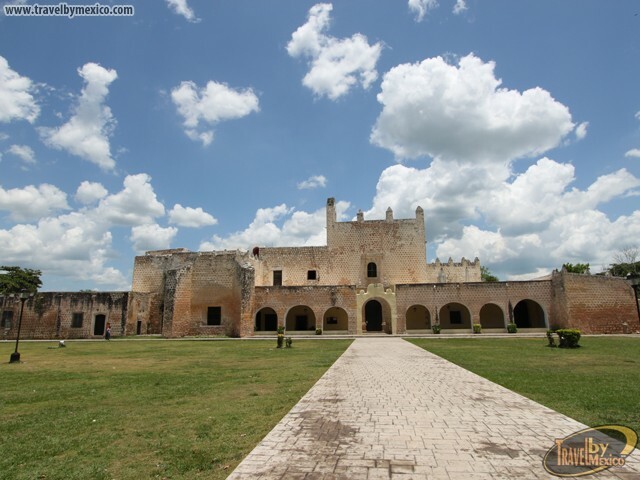 It is the second largest Franciscan construction in the Yucatan, after the Convent of Izamal. 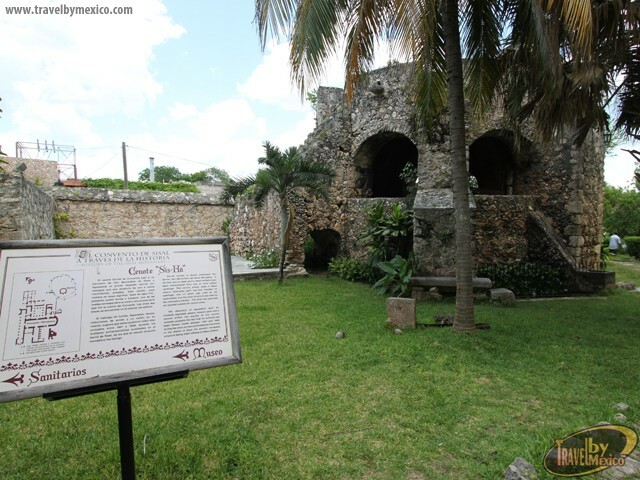 A walkway lined with the large tropical trees of ceibas started by the Friars has become what is known today as the Esquina de las Cinco Calles or Corner of the Five Streets connecting the village with the convent. 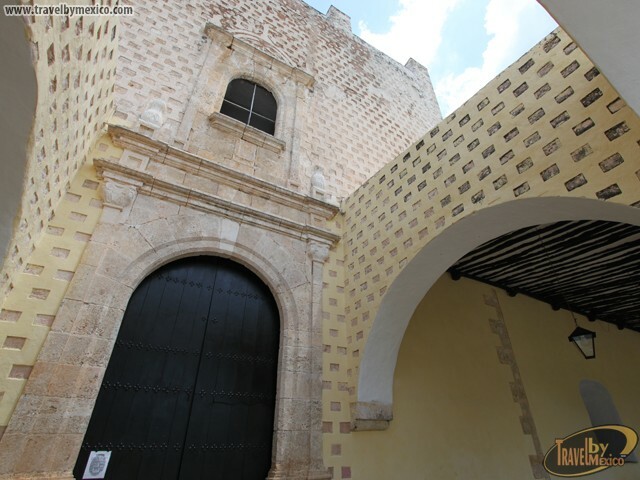 At the front door you can see the coat of arms of the Franciscan Order and below it, MDLX, which means 1560, the date that the building was completed and blessed and also when this church opened its doors to the community. 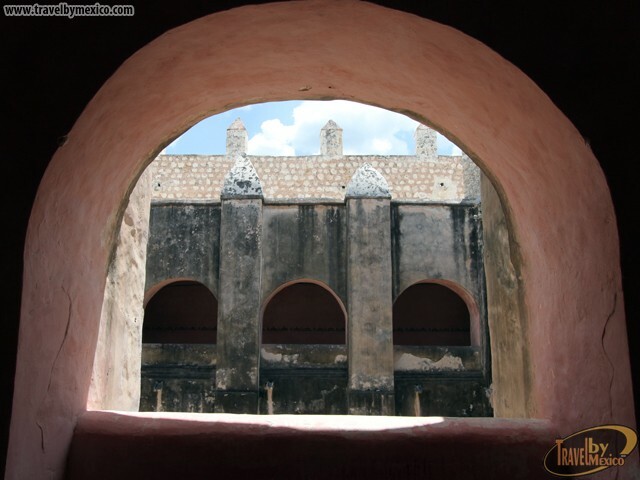 The facade has a long corridor of arches with walls more than 50 centimeters thick and a carved stone entrance. 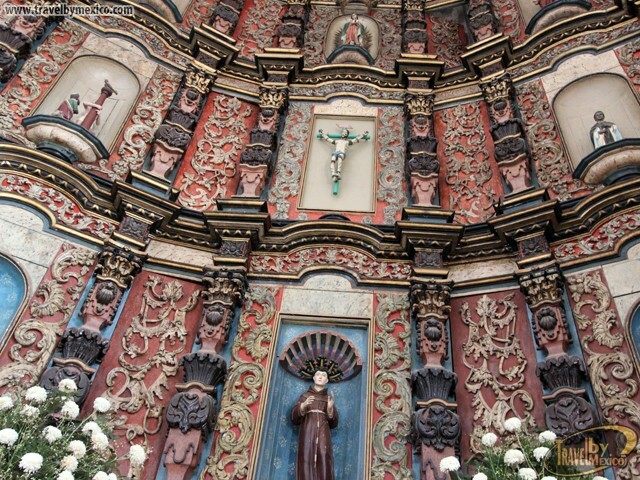 In the upper niche above the tabernacle, there is an image of the Virgin of Guadalupe. 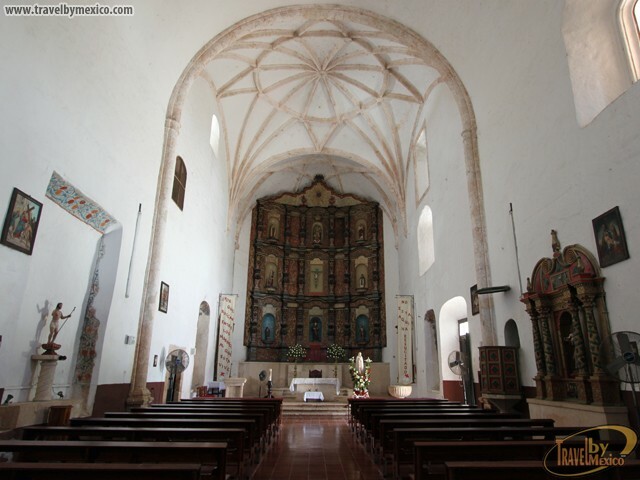 Inside the church area there is a beautiful wooden altarpiece carved with arabesques motifs, artistically impressive for its size and fine details. Further ahead is the high altar on the right side and another representation with the small statue of Saint Teresa de Jesus. 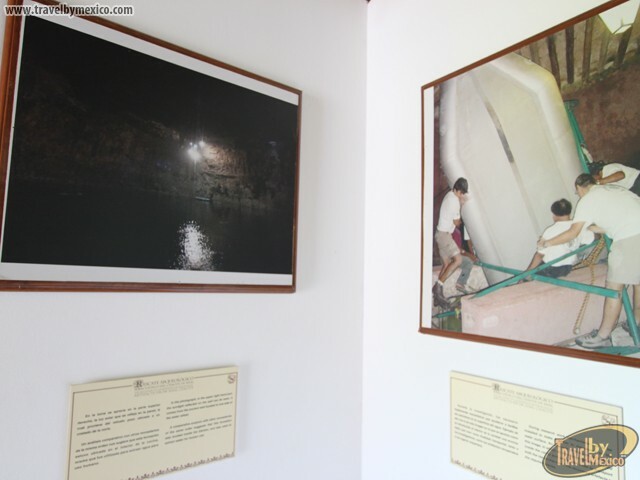 On the left is the Virgin Dolorosa in a wooden painting with a carved representation of the Conception Annunciation, Eternal Father, and the Virgin Mary on the bottom. 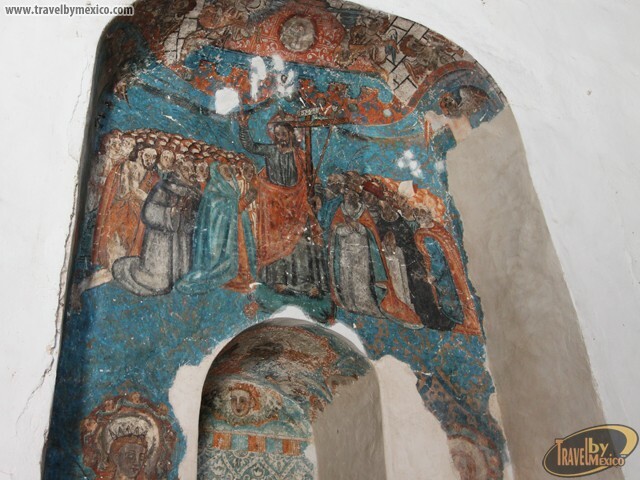 In 1978 during the restoration work on some altarpieces, Father Andres Lopez Ruiz had them removed and found several paintings from an unknown artist. 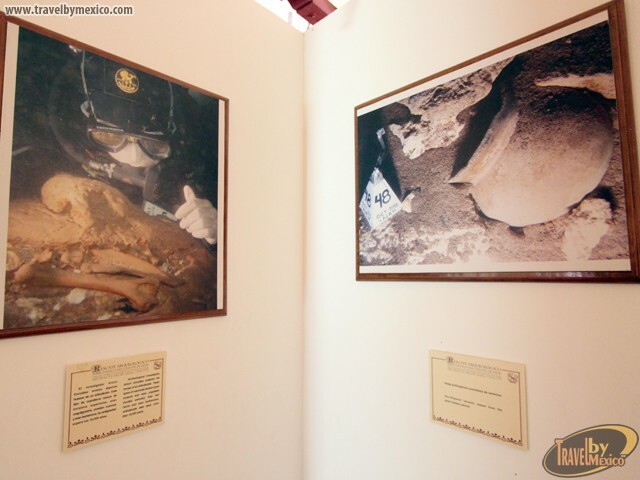 As to the reasons why the paintings were hidden remain a mystery but presumably they date back to the 16th century. 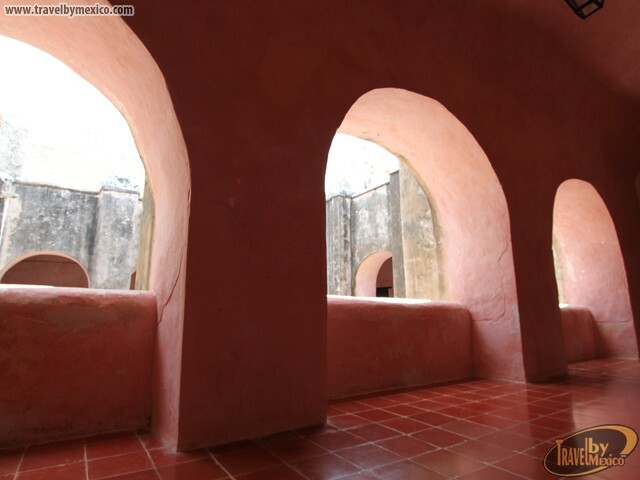 The architectural complex consists of the church, chapel, convent, atrium, and a garden. 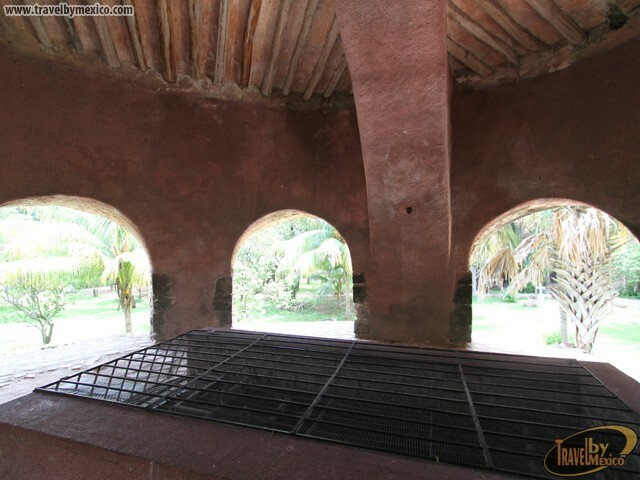 It occupies an area of 14,121 square meters. 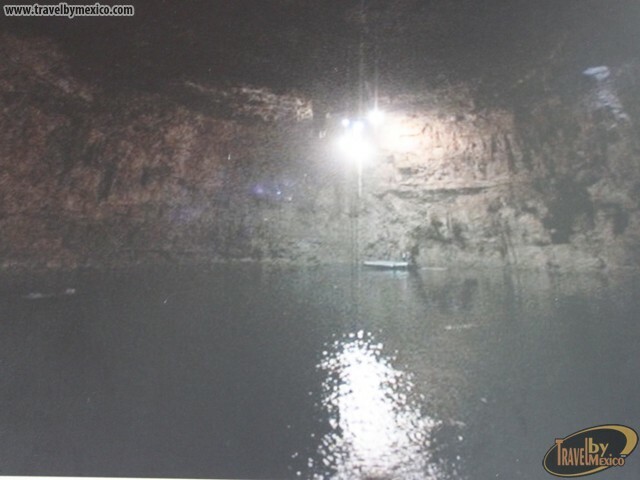 In 1613 the construction of the wheel, an imposing hydraulic structure built at the opening of the largest cenote, was completed. 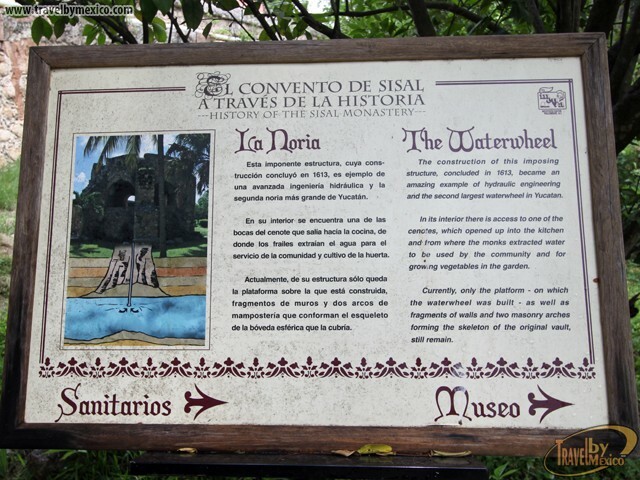 The wheel of Sisal is the second largest in the Yucatán, after la de Mama. This example of hydraulic engineering is amazing. 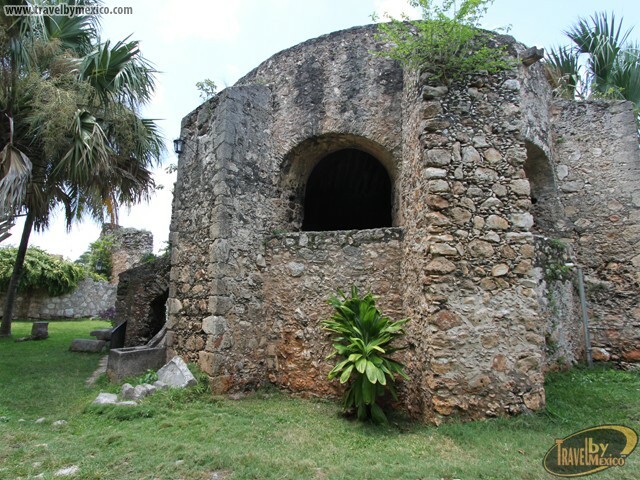 Its diameter is 14 meters and has very strong buttresses. 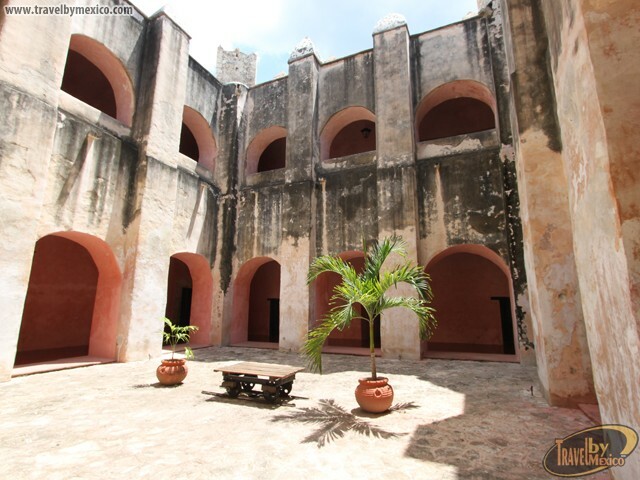 The history of the Convent of Sisal as such, concluded in February 12, 1755, when the priest Josef Prudencio Dominguez indicated that Bishop Ignacio Padilla y Estrada would proceed with its secularization. 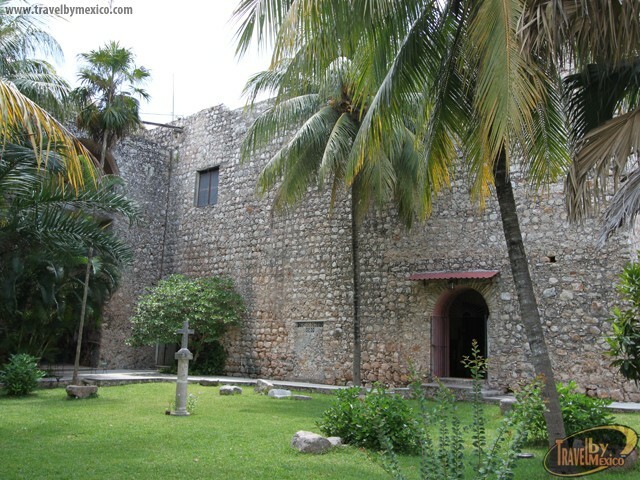 To secularize during the post-independence era would mean that the convent would enter a phase of paralysis which would lead it to ruin. 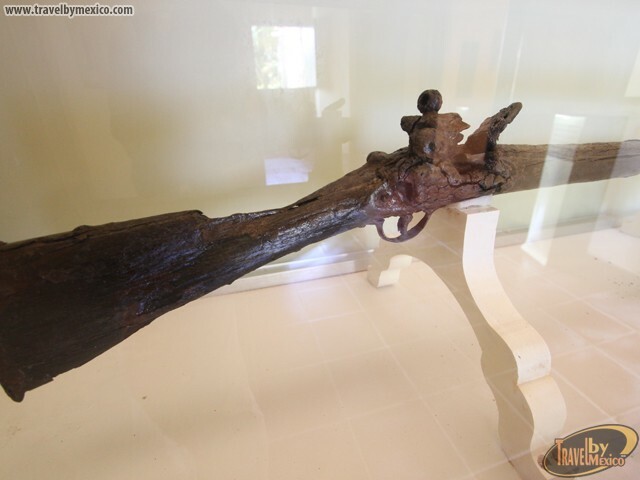 During the Caste War, apparently, the convent was respected, although the parish church was ransacked and the bells were buried in front of the Chapel of San Roque. 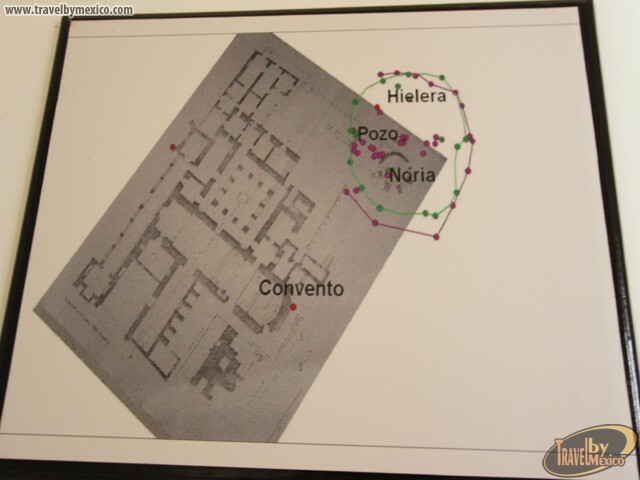 The deterioration of Valladolid after the bloody phase of the Caste War (1847-1852) included the convent.